It is the belief of Millstone Weber that there is no job so important in which it would jeopardize the safety and wellbeing of our employees, our most valued assets. 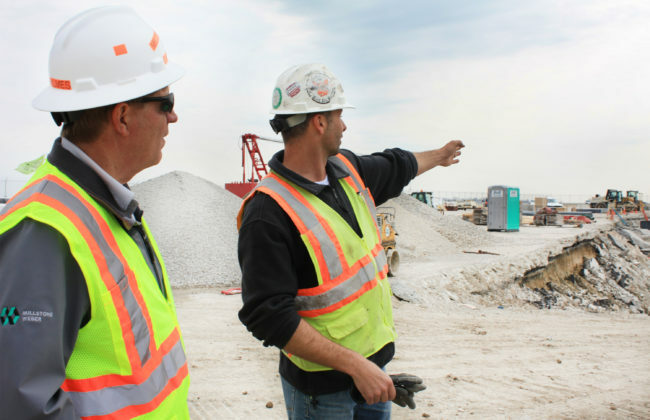 Millstone Weber embraces a collaborative culture of safety that starts with our top management and are committed to making sure our employees, subcontractors, clients, and members of the public return home safely at the end of each day. 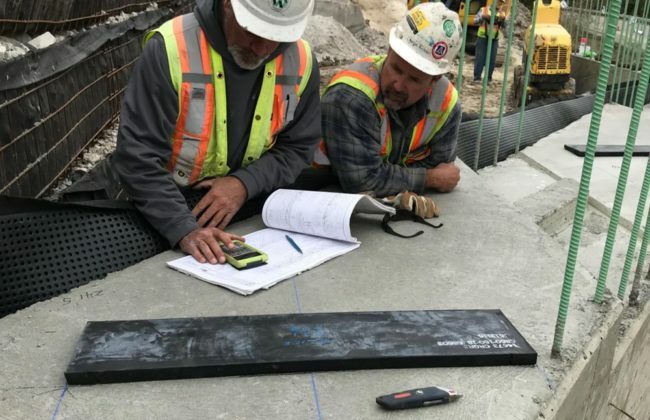 Our goal is to foster a safety culture with active employee engagement at all levels to exceed all applicable rules, regulations, and standards governing our industry to prevent accidents. For these reasons, Millstone Weber will provide proper training, equipment, and tools necessary to support and fulfill this responsibility. Maintaining a safe and environmentally friendly working environment is a continual process, one that requires that consciousness and awareness of safe procedures be embedded in every activity we perform. Each and every individual must follow the procedures and become an active participant in the success of our stated goal. Supervisory and management personnel have a responsibility to promote, support, and enforce our Environmental, Safety & Health principles. Millstone Weber’s comprehensive Environmental, Safety & Health Program was established to provide uniformity and consistency in our policies and procedures regarding working safely, assignment of responsibilities, and to establish expectations and accountability for our employees at all levels of the company. Every employee participates in our Alcohol and Drug-Free Workplace program. Supervisors also receive Drug & Alcohol Awareness training for Reasonable Suspicion. Each new employee receives an intensive new employee orientation that covers company safety policies and procedures, followed by a written test to demonstrate their knowledge and understanding. All construction superintendents and project managers receive the OSHA 30 hour training and an annual eight hour refresher course on various safety topics and company policies. The Safety Department also conducts frequent safety meetings on each of our projects addressing site specific issues. Certification programs include Qualified Forklift Operator, Flagger Certification, Excavation Competent Person, Qualified Signal Person, Qualified Rigger, First Aid / CPR, and Fall Prevention & Protection Competent Person & Equipment Inspection training. The belief in protecting employees also extends to subcontractors through training sessions on Millstone Weber policies and procedures. Subcontractors are thoroughly evaluated, continuously monitored for safe practices, and carefully reviewed prior to establishing new contracts. Jobsite superintendents perform daily inspections in addition to their monthly comprehensive documented inspection. Safety department personnel conduct regular “Walkthroughs” on all job sites. MW believes in advancing safety by learning from experience. One of our most beneficial tools is the Near Miss reporting procedure where even incidents that did not result in damage or injury — but potentially could have — are reported, allowing the incident to be investigated and corrective actions taken before any potential incidents occur.To encourage the use of the Near Miss Program, a $250 “Near Miss of the Quarter” award is presented to the near miss selected by the safety committee members that provides the most proactive preventative measure. A $1,000 “Near Miss of the Year” award is presented to the near miss selected by the safety committee members of the four quarterly winners. This program encourages and rewards employees to perform their work in a safe manner to prevent injuries to themselves and all fellow employees. All employees working a minimum of 1,000 hours are eligible for an annual safety incentive award. To maintain their eligibility, employees must follow established safety policies, report all incidents in a timely manner, and work in a manner that prevents personal injury.